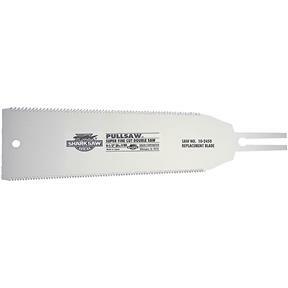 This Replacement blade for the Shark 10-2440 Fine Cut Saw features cross-cut teeth (17 per inch) to work across the wood grain, and rip teeth (9 per inch) to cut with the grain. This unique Japanese design has been used to build everything from houses to castles to shrines. Although the blade is very flexible, it cuts exceptionally straight. It is designed for applications where precision outweighs speed. 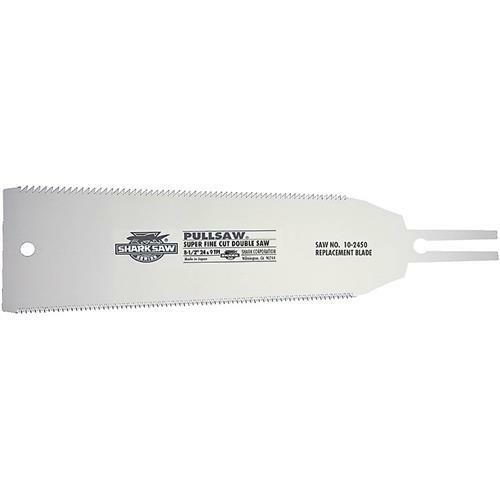 It’s great for sawing large pieces of foam boards, and excels at cutting plywood and particle board. The precision-ground blade ensures super-accurate cutting, and because it’s so thin, very little material is wasted. It slices right through melamine without chipping! Recommended For: All sizes of plywood, particle board and melamine. All types of wood siding; staircase construction; accurate cuts of all angles. Great for trimming a thin strip from the bottom of a door to accommodate thick carpeting—without removing the door from its hinges. Cuts through flat foam sheets; moldings of all sizes and widths at all angles.